Wooler First School were the well-deserved winners of a competition – arranged by TerraCycle UK Ltd – and their prize was a brand new Multi-Play Climbing Frame, manufactured from Recycled Plastic. TerraCycle UK Ltd contacted PlayQuest to discuss the opportunity of working in partnership – to supply and install a multi-play climbing frame manufactured from Recycled Plastic, that they could give to a school as a competition prize – to promote recycling. Having agreed with TerraCycle UK Ltd, we agreed upon the 3-Tower Activity Centre with the Bumpy Fibreglass Slide. 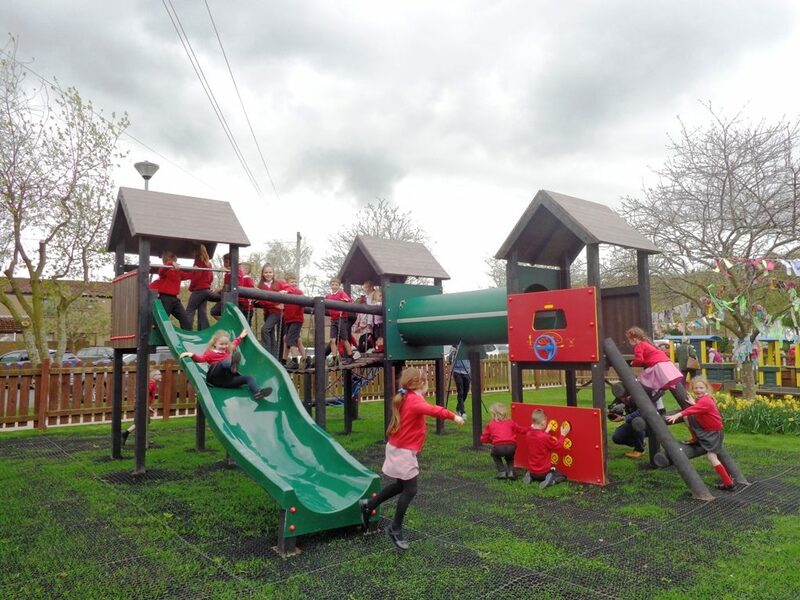 The play equipment was installed at the school with Grass Matting safer surfacing, to ensure the children will be safe when playing on the equipment. The recycled plastic material used in this project comes from kerbside recycling schemes and this particular project saved an estimated minimum of 900kg of plastic waste going to landfill.